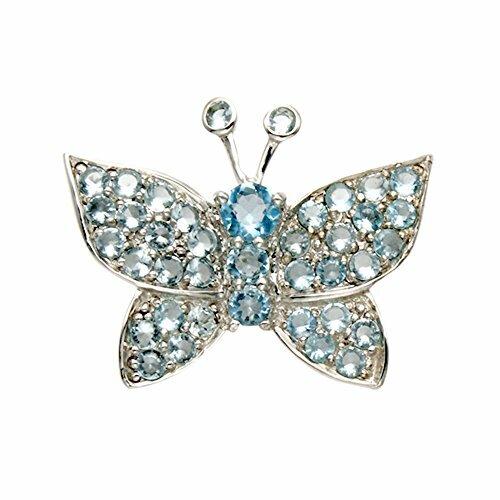 Sterling Silver Butterfly Pin w/Faceted Aqua Crystal Stones by Wild Things at SCRHI. MPN: PN249. Hurry! Limited time offer. Offer valid only while supplies last. Height 1" x Width 1 1/2"